Stop and Frisk is a visual representation of the number of people being stopped and frisked by NYPD (New York Police Department) and the relation between their races. The data comes from NYPD reports and the people stopped & frisked are put into one of the following groups: Black Non Hispanic | Hispanic | White, Asian & other. 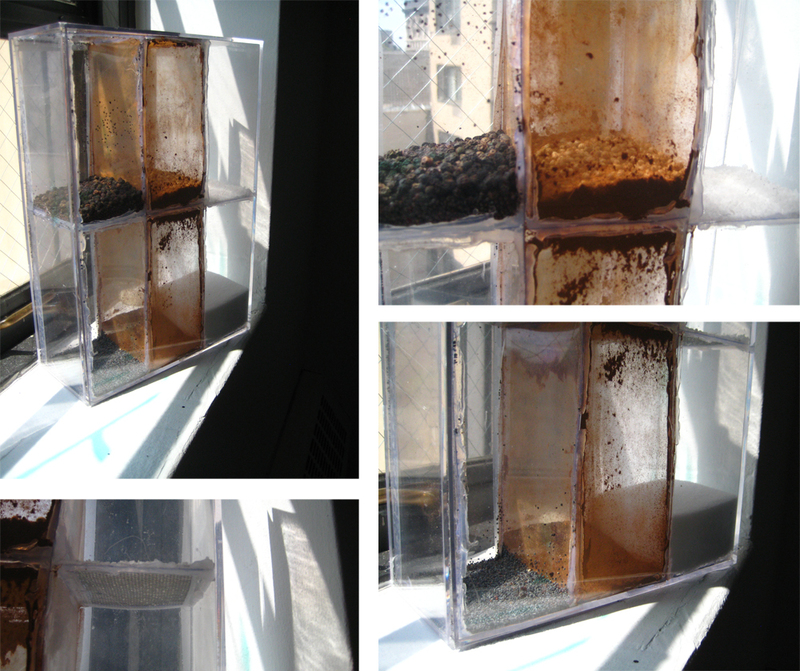 The visualization is done using three mediums: print, interactive, and physical. For this interactive representation I used Processing, Google maps, and Tile Mill. Each red circle stands for a NYC precincts and its size is in relation to the number of stops that where logged in that precinct. When the user hovers over the circle three bars appear, each of them representing a different race: Black Non Hispanic | Hispanic | White, Asian & other. The length of each bar is in relation with the number of people stopped of each race. On this object each of the three sections represents a race group: Black Non Hispanic | Hispanic | White, Asian & other. 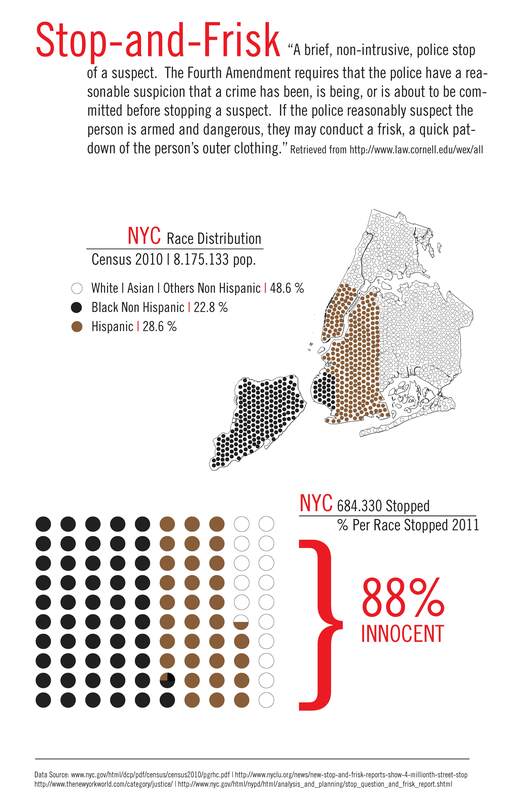 The amount of powder on each section stands for the percentage of each race in New York City (census 2010). By inverting the object the powder passages from one side to the other. The amount of powder that doesn’t pass corresponds to the percentage of people of each race that was stopped by the police. The object establishes an analogy with a sand clock, referencing the pass of time: the data used are the number of people stopped and frisked during a whole year.